Edwin Mathis White (from the band Tonstartssbandht) creates a capella DIY gospel as Eola using loop stations and antiquated vocal processing effects pedals recorded to tape. On stage or on tape, Ed's performance is dang spiritual. Edwin currently lives and grew up in Downtown Orlando, Florida but has spent the past 11 years living mostly in NYC, and sometimes in Montreal & Baltimore. The album Dang drops Sept. 23rd with Leaving Records on Vinyl, Cassette, and Digital. Blessed be. Buy Eola - How Far Am I From Canaan? Users who like Eola - How Far Am I From Canaan? Users who reposted Eola - How Far Am I From Canaan? Playlists containing Eola - How Far Am I From Canaan? 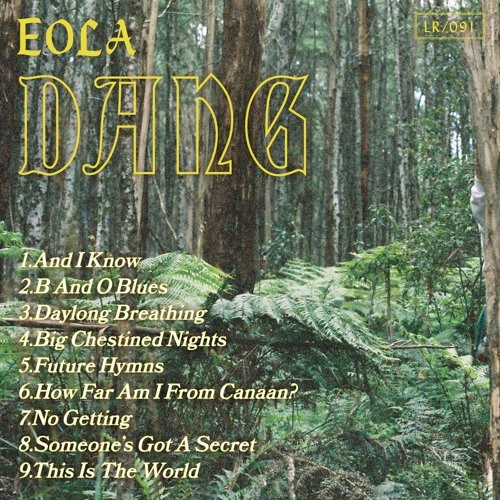 More tracks like Eola - How Far Am I From Canaan?